Introducing the brand new and exciting range from Peter Kaiser for Spring and Summer 2014! The endlessly eye catching Multi Coloured range from the brand new SS14 collection include the most vivid and vivacious designs you could ever imagine. 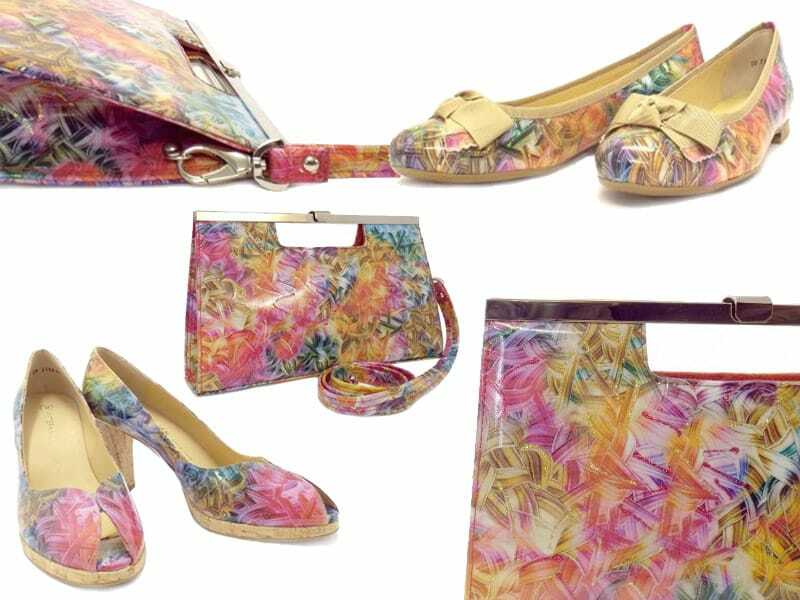 Inspiring wanderlust with the tropical patterns and tempting tones, the Multicoloured range of shoes and bags are the perfect partner for any event or occasion. With so many choices for coordinating shoes and bags, it’s hard to know which combination to choose. The Peter Kaiser Edita shoes feature a 8.5cm cork heel, which gives them the ultimate holiday feel. Add a sneaky splash of your favourite red nail varnish to your toes to add even more colour to your footwear look – with their peep toe design it would be a shame to keep those toes under wraps! For a chillier evening affair, why not wear some black tights to add a quirky contrast and help the colourful pattern stand out even more? For a touch of colour to your day time style, you will find the Idora ballet pumps are all you need. A cute bow finishes off these ladies flat shoes and a slightly padded insole also ensures an added level of comfort. Perfect to wear with a little black dress for a summers evening, or if your style is a touch more casual, try wearing the Idora pumps with an effortlessly chic pair of white linen trousers – perfect for a brisk summers walk along the pier. But what are shoes without the matching Peter Kaiser bag? The classic Wye clutch has been transformed for SS14 to be part of the multi coloured range. A glossy patent leather hand bag comes with a detachable strap to add a dash of colour to any occasion. The Wye bags are a signature style within the Peter Kaiser range and it’s easy to understand why, with it’s versatile size and shape. Wear on your shoulder using the strap, or keep it as a sassy clutch bag for a party. Shop the entirely new range of Peter Kaiser shoes, bags and boots for SS14 at the Authorised Peter Kaiser UK Stockists here.